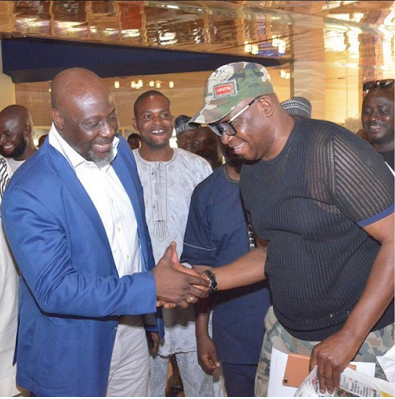 Senator representing Kogi West Senatorial District, Dino Melaye of on Friday ran into Governor Ayodele Fayose of Ekiti State at the Transcorp Hilton Hotel in Abuja. Dino shared the photos on Instagram and called Fayose ‘Ele eniyan’. 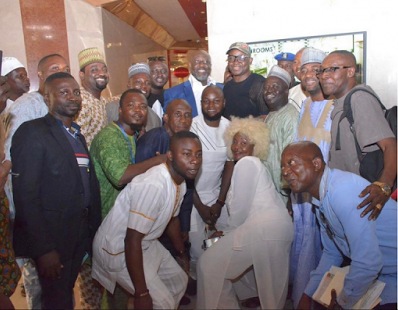 Both politicians also took photos with some Kogi APC party members and aides of Fayose.